In this project young children discover, identify, and sort seeds from a variety of fruits and vegetables. Present the fruits/vegetables to be experimented with and have the child write or draw the name/picture of each fruit/vegetable, each on a separate piece of paper. Explain to the child that they will be hunting for seeds and that they should take apart the fruits/vegetables in whatever way they want in order to discover their seeds. Give the child the fruits/vegetables and the tools and let them go at it. 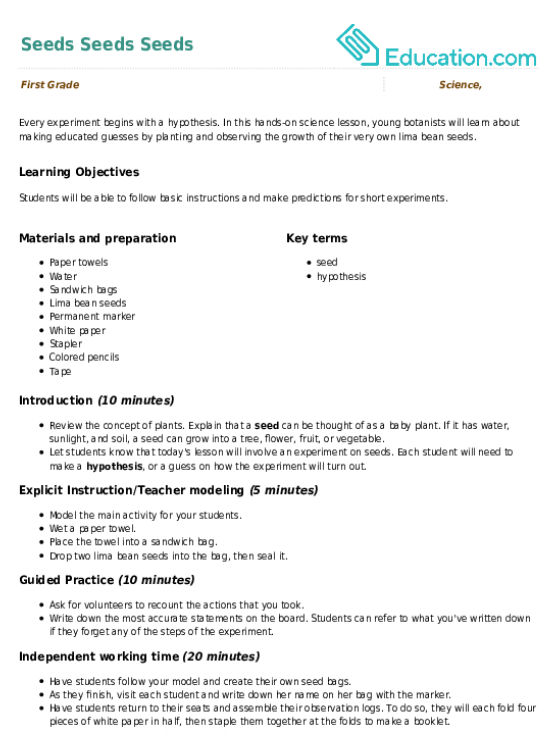 When a seed(s) is discovered, have the child remove it and place it on the piece of paper labeled with the fruit/vegetable from which the seed(s) came. 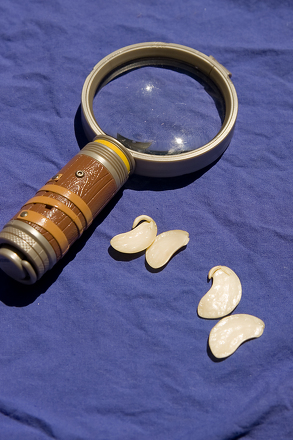 After the child has had a good long while to find seeds, have them group similar seeds together. 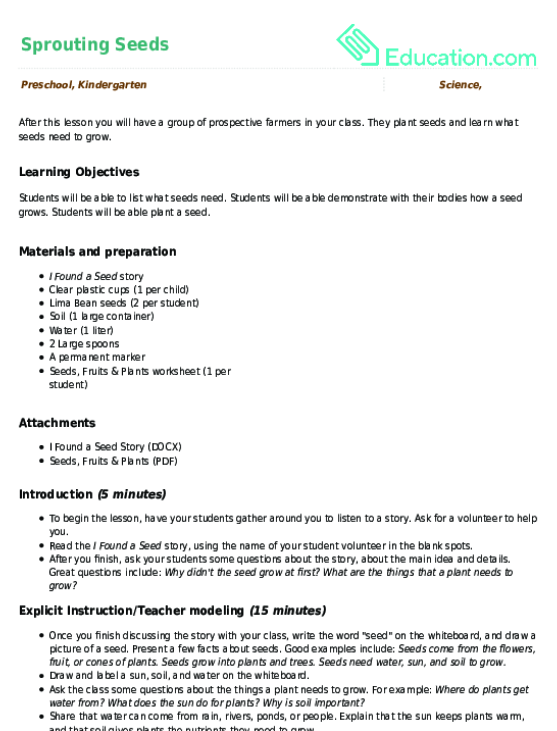 Talk about what makes the seeds in each group similar and different. Do the fruits/vegetables in each group look, taste, or smell similar to each other? 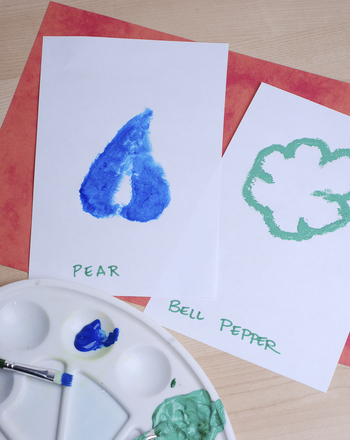 Challenge your child's knowledge of seeds and fruit with this fun match up activity. In this hands-on science lesson, young botanists will learn about making educated guesses by planting and observing the growth of their very own lima bean seeds. 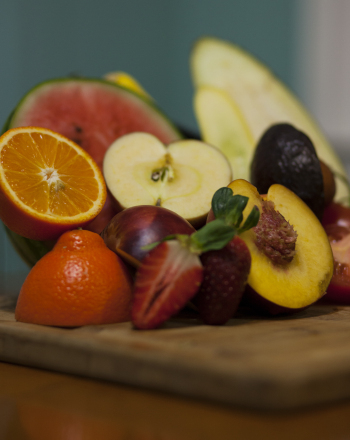 Have your 1st grader cut out the pictures of food and paste them under "fruits" or "vegetables." 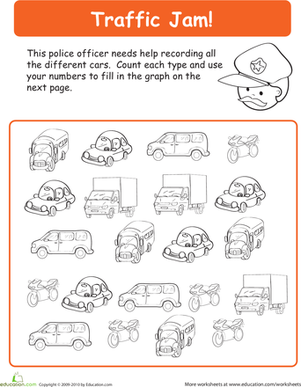 Help the police officer record the cars in the traffic jam in this year one maths worksheet. Your child will practise sorting, graphing, and counting. Give your budding botanist a great way to chart the growth of his seeds as they germinate! 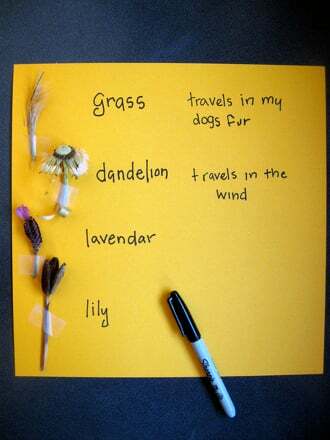 This activity is a great way to learn what a plant needs to live. 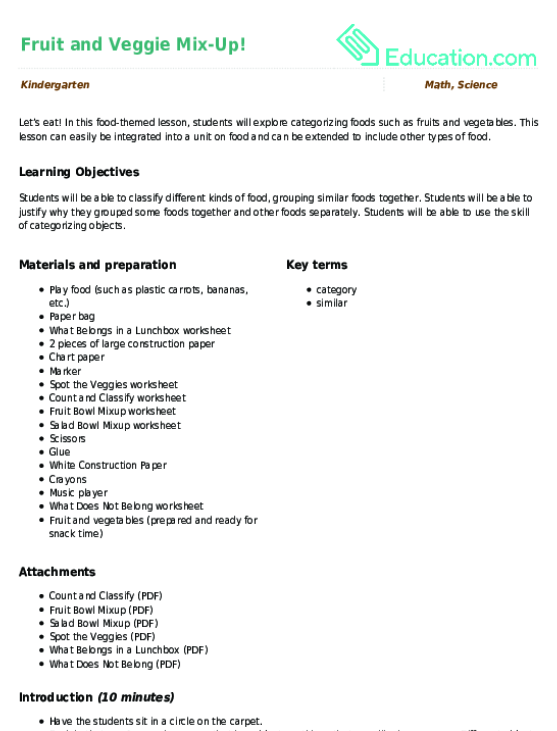 In this food-themed lesson, students will explore categorizing foods such as fruits and vegetables.